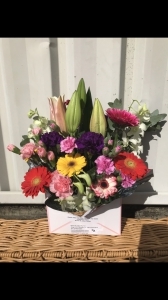 Very pleased with the service and the flowers delivered. Will definitely use again. See above comments. Flowers delivered were nothing like advertised online. I was completely misled and deceived. Delivered on time and fresh. Well arranged. <br />But probably you should increase the box size a little bit . A little expensive for the amount. The flowers were lovely. Very happy. Thank you so much! The flowers I wanted weren't in season but what was made up for my friends birthday was perfect! She loved them! 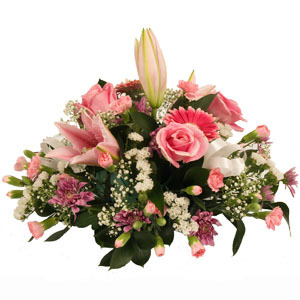 Quick delivery and good service - the flowers looked beautiful! 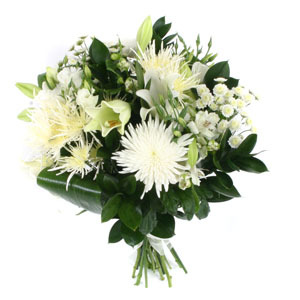 Flowers were delivered as promised and they presented well, my partner loved them. Judi went over and able with service, having to make a second delivery for me as my recipient wasn&rsquo;t at the first address! She phoned me to check and re arranged everything with complete professionalism ! Thanks so Much! A lovely local family owned business delivering excellence in customer service! Delivered the next day and my wife loved it. Mission accomplished! Thank you! 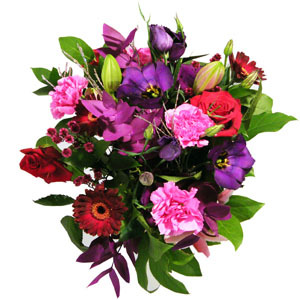 Judy was lovely to deal with over the phone and the order was just perfect, both myself and the recipient were very impressed! Flowers just left at front door, I was almost going to cancel credit payment as they hadn't arrived but one of my kids noticed something and checked it out. Really poor delivery, should have texted someone about it. 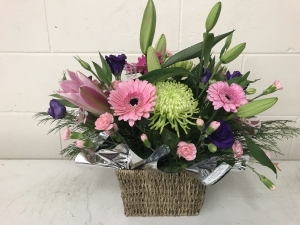 Second time ordering from Bunch N Judys Florist and Gifts, and they never disappoint! Will continue to order from here, love love love! 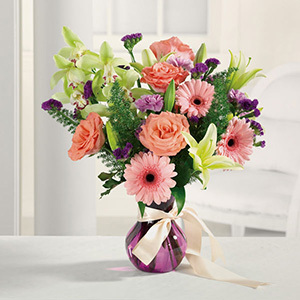 Gorgeous flowers, exactly as described and pictured. Surprisingly big bouquet - I was very impressed! Quick and easy, the flowers arrived on time and they are gorgeous. Had telephoned before placing order and actually spoke with the owner Judy. Despite being closed for holiday day, she took time to talk, explain and give confidence to order etc. Great 'personal' service supporting the www experience. 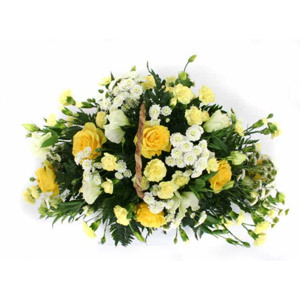 Our Mum loved the flowers which were delivered on the same day as ordered on-line, at a very reasonable cost. Fantastic service. 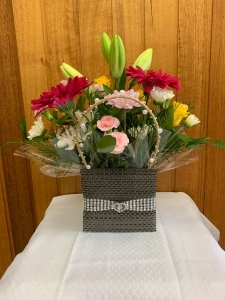 Highly recommend Bunch N Judys Florist & Gifts. 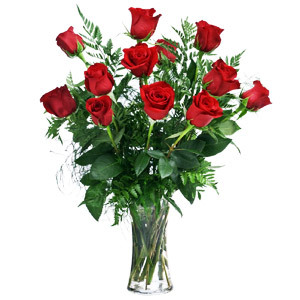 Bunch N Judys Florist and Gifts are locally owned and operated. 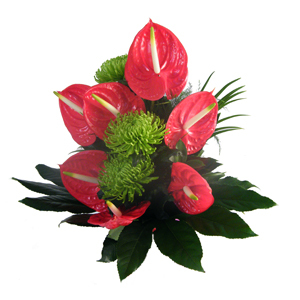 I have used them each time i send flowers to family members and also for my wedding. They are reliable and reasonably priced. They go above and beyond to make sure the customer is satisfied. My wife loved the flowers. Awesome job. 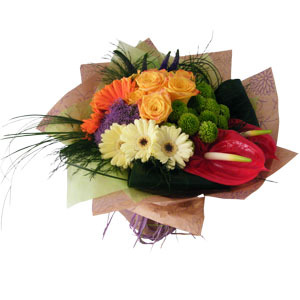 Nice arrangement, delivered on time thank you. Flowers arrived when I requested them (time of day) and were lovely. The flower arrangement and flowers were simply stunning! Thank you for making our anniversary a memorable one. 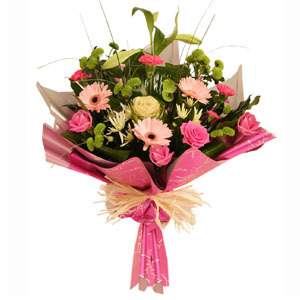 Great online ordering service and the flowers looked exactly to what was ordered with lovely freshness! Delivered in a timely manner with great customer service. Would recommend! Thank you for making my sisters birthday colourful. Will always use this company for every Australia flower order I need. Top notch in my book. 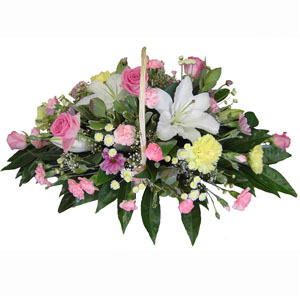 I am ordering funeral service from Austria, the service was excellent. Beautiful arrangement, extremely well received. Thank you! I live in the US and wanted to surprise my daughter with flowers for her birthday. I had questions and Bunch N Judys responded immediately. The flowers were delivered and they made my daughters day! Thank you! Was very flexible and patient in change of address while on delivery, so great service! Mum loved the flowers. 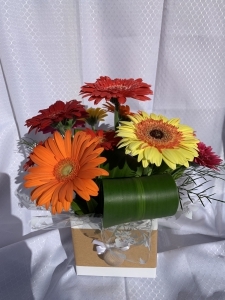 It was great to order from a local florist. I really appreciated the email advising of the delivery. Excellent service! Thank you. 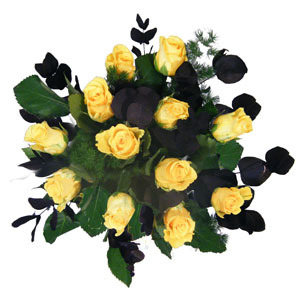 Extremely fast service with beautiful flowers delivered within 2 hours. Will use again. The recipient of the flowers told my they were spectacular. 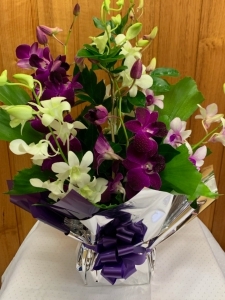 I would definately recommend Bunch N Judys Florist &amp; Gifts in Cairns. 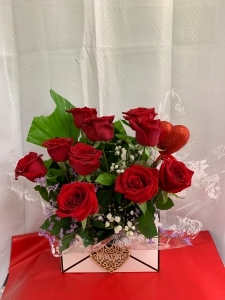 The only thing I could fault (minor fault) is I wish the flowers were delivered earlier in the morning, but apart from the timing, the flowers were amazing!! Flowers were delivered in good time and the recipient wasted no time in letting me know she thought they were gorgeous, including a photo. I was told by the recipient that they were beautiful and well presented. The flowers were delivered a day later than they were supposed to be. 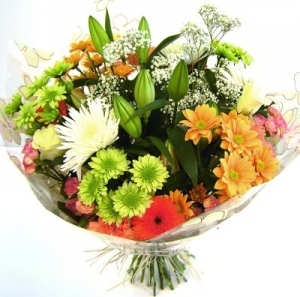 The flowers were fresh and very much like what was advertised. Thank you. I hope the flowers they delivered were beautiful for his funeral. The florist&rsquo;s service was good. I have received the confirmation of delivery. <br/>I wish I get feedback about flowers later on. <br/>Thanks for the service. 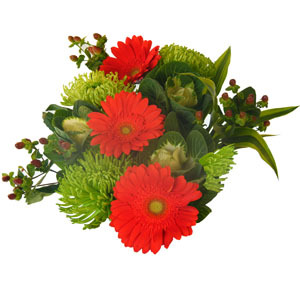 Very pleased with the quality of the delivered flowers &amp; delivery service. Thank you. I didn't see the flowers but mum in law said they were lovely and was very pleased with them. Same day delivery as advertised. 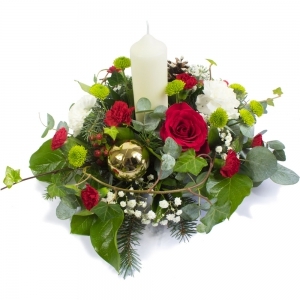 Beautiful Christmas arrangement, good value. Impressed. Will use again! Excellent job flowers looked great, delivered on time. Reasonably close to photo online. I had a lot of difficulty with the extra security step in the payment system and have never encountered this before. Great service and flowers were beyond expectations. Excellent service. Flowers were beautiful. Arrived on time. Thank you. 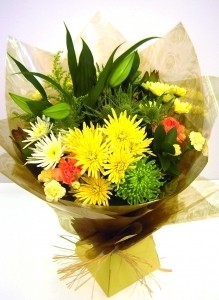 Great big bunch of flowers, made the recipient very happy. Product was better than expected and super quick delivery. I personally don't know what the flowers were like because anyone receiving flowers from someone else will not complain. I know they arrived on the right day and the delivery fee was less than other places which is very important. 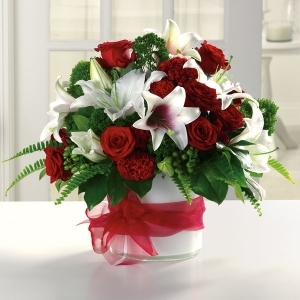 The person who received the flowers said they were nice. 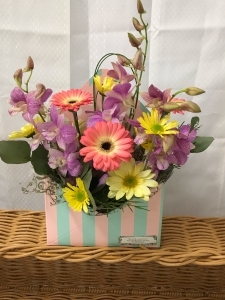 Can improve little bit with the packaged (cover), instead leave a flowers with a plastic glass, something nicer, as you expect give something with class and beautiful. The bunch of flowers delivered to my friend were just gorgeous! 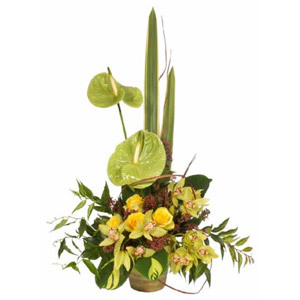 Truly one of the nicest flower arrangements I have seen in some time! Thank you Bunch N Judy, my friend loved them! 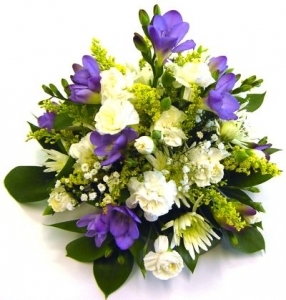 I rang on the Friday, chose some flowers from the pictures online. 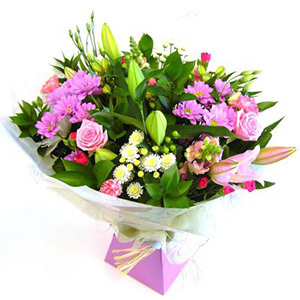 The flowers arrived on the day at the time specified, I was more than happy. The flower arrangement was described to me and they sounded perfect. Very happy with the arrangements, and fast delivery. The flowers I've purchased last for a long time and they are beautiful arrangements. Communication and reliability are great. 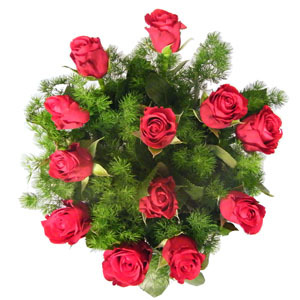 I have used Bunch N Judys Florist &amp; Gifts to send flowers to family and friends on numerous occassions. I will be using them to organise my wedding party bouquets. The final flower arrangement is awesome. They go above and beyond with prompt delivery. Amazing product, exceeded expectations. Instructions followed, creativity utilised, customer very happy. 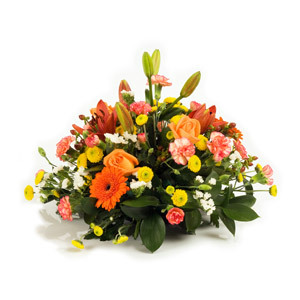 I was sending flowers for a funeral 600km away and had never ordered flowers online before. Timing was critical. <br/>I couldn't have asked for a better result. 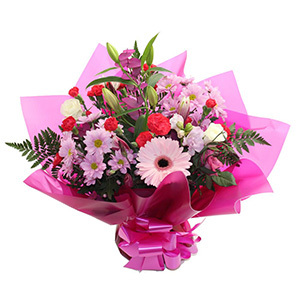 Good range of bouquets, prompt delivery, and my sister says the flowers are beautiful and top quality. Flowers were well received and my wife thinks I'm a hero! 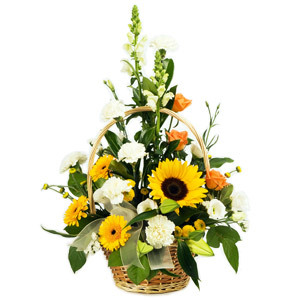 Delivered on time and a beautiful arrangement. Thank you. My wife was very happy with the flowers, beautiful she said, I am in the good backs. The bouquet was HUGE and delivered in the morning to my daughter at her workplace as I requested. She sent me a picture and I was so impressed with the size and the variety of colors and blooms. I was so happy to be able to place an order from the U.S. and get it to my daughter in Australia on her birthday. The flowers and service were above and beyond my expectation. Always do the most beautiful bouquets of flowers , I don't go to any other florist as know I won't get any better than these guys. Asked for blues and purples and not a lot of pink but there seemed to be a lot of pink still in there. Beautiful arrangement thanks I was very impressed! A gift for my friends birthday, who just loved the floral arrangement. The variety and colour were superb. As I live interstate and ordered online it can sometimes be a gamble as to what you get, but this one paid off. Thank you Bunch and Judy. Fabulous choice, reasonable prices and delivered exactly when we needed it! 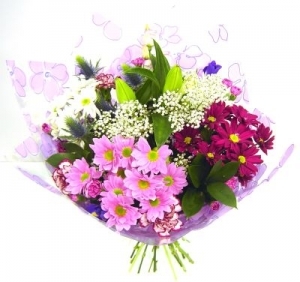 The recipient was delighted, thank you - she says the flowers are beautiful. 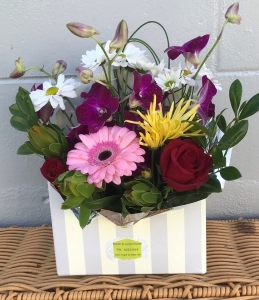 I ordered flowers for my niece in Australia from Canada.The process was very simple and easy. My niece received the flowers the same day and sent me a picture of the flowers and teddy bear. They were perfect! Thank you Bunch N Judys! 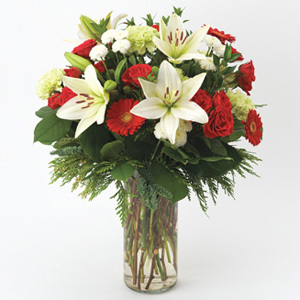 We was shown a picture of the flowers from the recipient &amp; looked in good order. I've only put good as I did not see them. My sister was over the moon though, so a great service. My friend loved the flowers. They were so beautiful and good value for money! 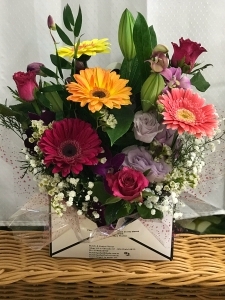 Thank you for the delivery of absolutely stunning flowers! 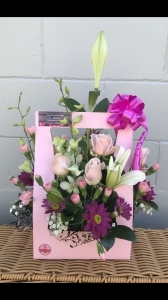 I would not use any other florist in Cairns. 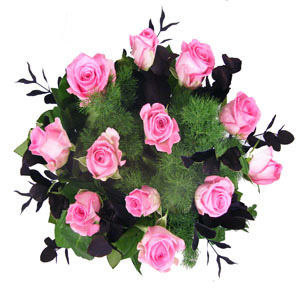 Always beautiful flowers/arrangements and fast delivery. Thank you so much! Always my preferred florist never been disappointed. 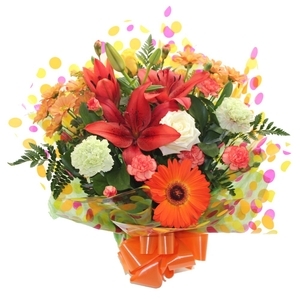 A beautiful large bunch of flowers were delivered. Amazing vibrant colours. Our daughter-in-law was absolutely thrilled to receive them. 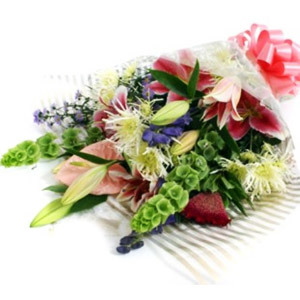 first classe service and Flowers were delivered on time and the relations that recieved them said how great the Flowers were . I have sent a seperate E-mail of thanks to Bunch N Judy's"
They were excellent - I accidentally clicked too close to 'good' when I clicked on excellent. Simple and quick. 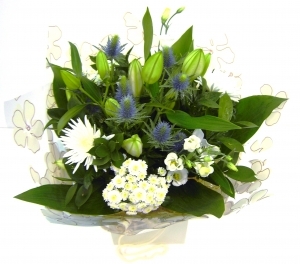 flowers were a different colour to the ones ordered but they were lovely so no complaints. Flowers were fresh, delivery was good! 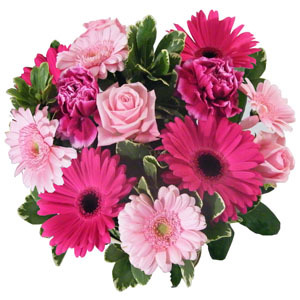 Fantastic easy service and my friend just loved the florists choice bouquet. The flowers were so elegant and beautifully presented. The recipient loved them. Thank you! My best pal got her flowers at work which sent the office buzzing with jealousy they were so pretty! 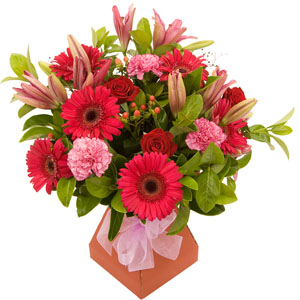 Will definitely use this service again to send flowers from uk to Oz. Thank you Bunch N Judy, you were recommended by a friend. The new mumma to be said Amazing and beautiful". Cant get any better than that. Thanks again :)"
Same as before. Flowers fine. Ignoring timing of delivery instructions; annoying. Arrived on time. As described. My daughter says the flowers are beautiful and they were delivered SO quickly! Well done Bunch N Judy's! Very happy with all aspects of my order. Wonderful, couldn't be happier with the service offered. 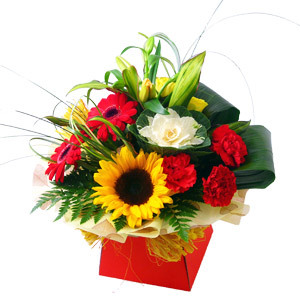 Excellent flowers which were delivered at the time we requested.My daughter was delighted. 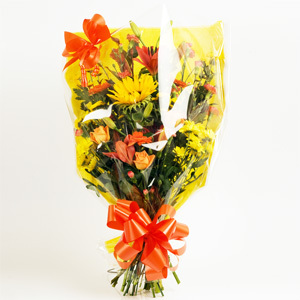 The delivery was 100% and so were the flowers and the recipient was on her first day at the home and she said it made her day and that they were the most beautiful bunch of flowers she had ever received. My thanks to your whole team. Aneurin. 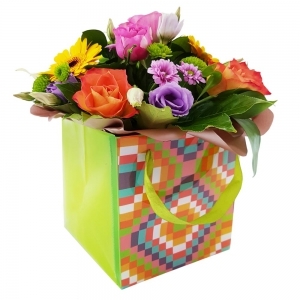 Very prompt delivery, flowers fresh and well presented. Would recommend. Many thanks. 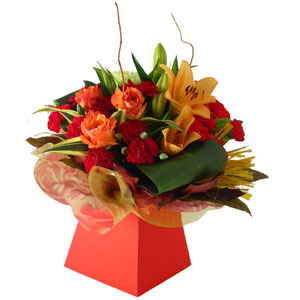 A huge thanks for the smooth and easy process of ordering flowers through Direct2florist/Bunch N Judys Florist & Gifts. 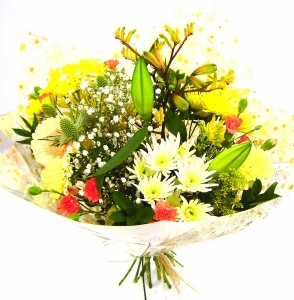 I ordered flowers from my phone, whilst in bed recovering from a small operation. Such a breeze! 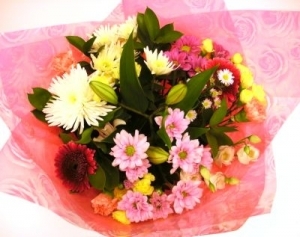 My daughter, also unwell, received them on the day, and was sooo.. delighted, it made her day and mine too. 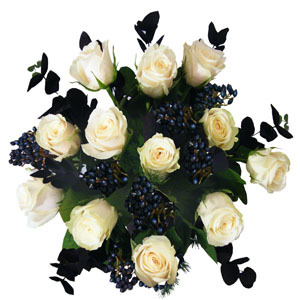 The greastest joy, knowing i could choose and have delivered quality fresh flowers and be so very far away! Simply Perfect. Thank-you! Great Service and Lovely Staff. Thank you for a reliable service on such short notice. My sister was delighted with here gift. 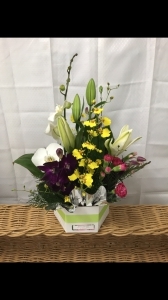 Envelope Box with assorted blooms. 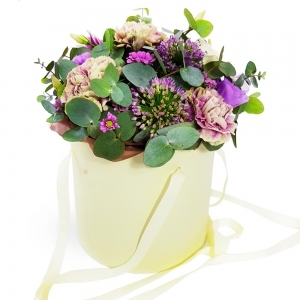 An envelope shaped box arrangement filled with assorted blooms. 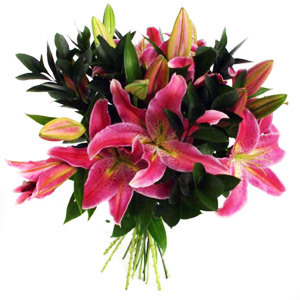 Bouquet of pink or white oriential lilys , will arrive in bud form to ensure longevity of you flowers. 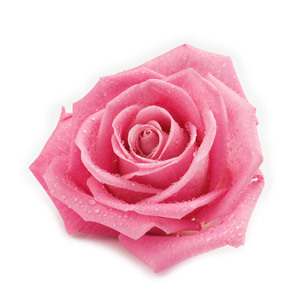 Remove the stamens to protect the petals from the pollen. 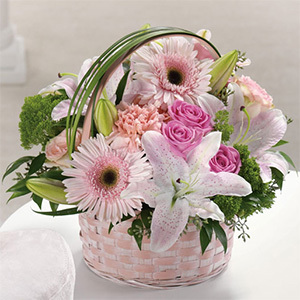 Basket arrangement with mixed blooms including Lilly's Gerberas carnations Etc.